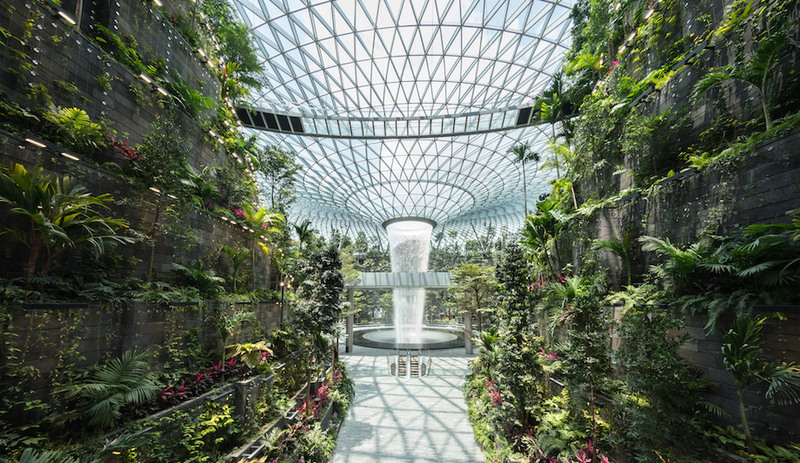 After the July 6 opening of the Hive, at the National Building Museum in Washington, D.C., the top summer pavilions of 2017 are officially up and running. 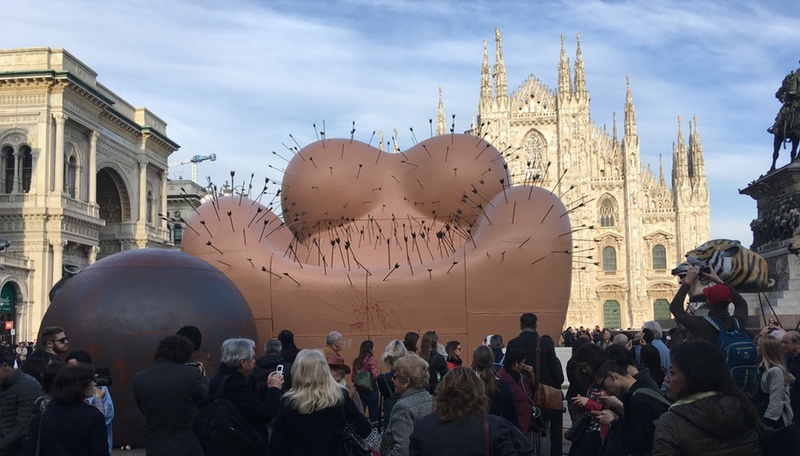 Here are our picks for the hottest installations of the season – including follies from SelgasCano, Jenny Sabin Studio, IF_DO, and Studio Gang. 1 The Hive, Washington, D.C. 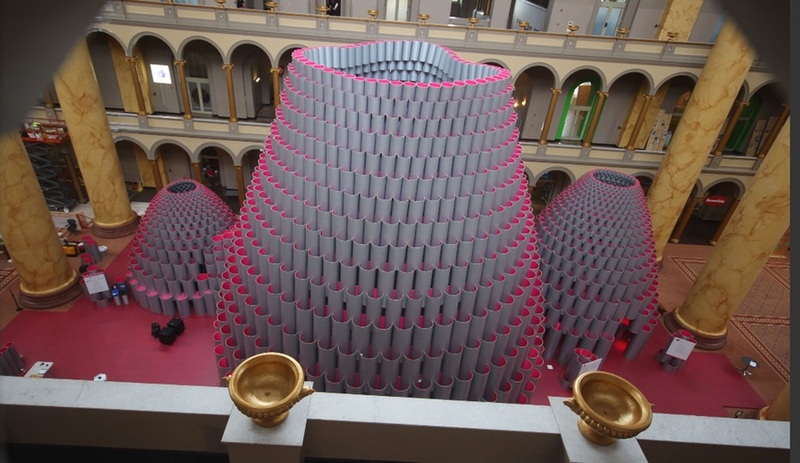 The National Building Museum’s summer installation in it’s Great Hall has become a highly anticipated annual tradition. 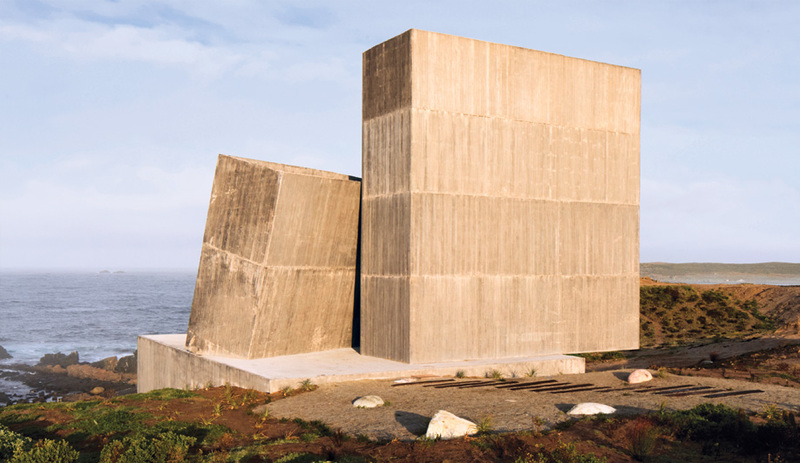 Bjarke Ingels, Snarkitecture and James Corner Field Operations have previously created indoor pavilions for this space. This year Chicago’s Studio Gang brings us the Hive, a series of three oculus-topped domes, built from over 2,500 interlocking paper tubes that range from a few inches to over 10 feet in height. The tubes are lined in pink, architect Jeanne Gang’s nod to this past spring’s Women’s March. 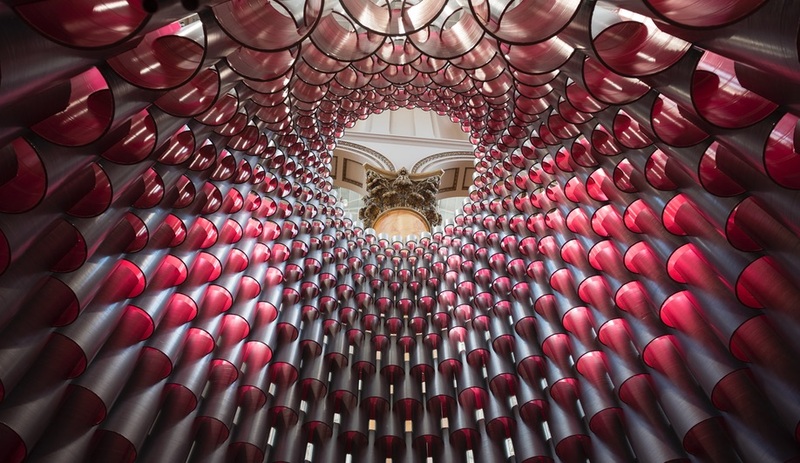 Inspired by the unusual acoustics of the Great Hall, the Hive’s intimate interiors allow visitors to explore sonic properties with a series of tubular instruments — like drum-like cylinders and chimes — suspended within. The Hive is on view until September 4. 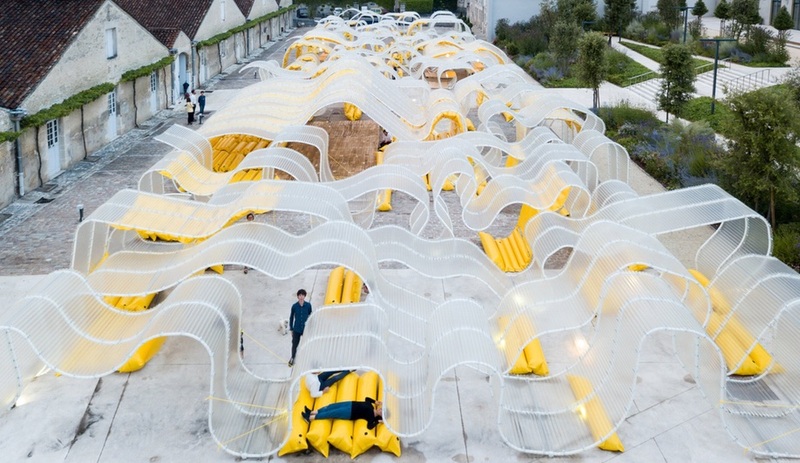 Spanish firm SelgasCano have filled the courtyard behind Cognac house Foundation Martell with this undulating installation, constructed using Onduclair PLR – a corrugated, translucent, polyester and fibreglass “paper” from the French brand Onduline. 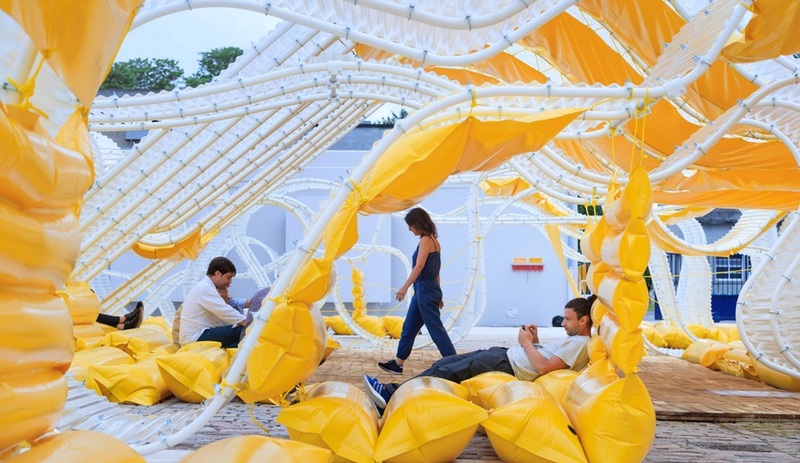 Water-filled cushions, in brilliant yellow, anchor the 26-by-90-metre structure and enhance the subtle rainbow effect of the sunlight filtering through the Onduclair material. 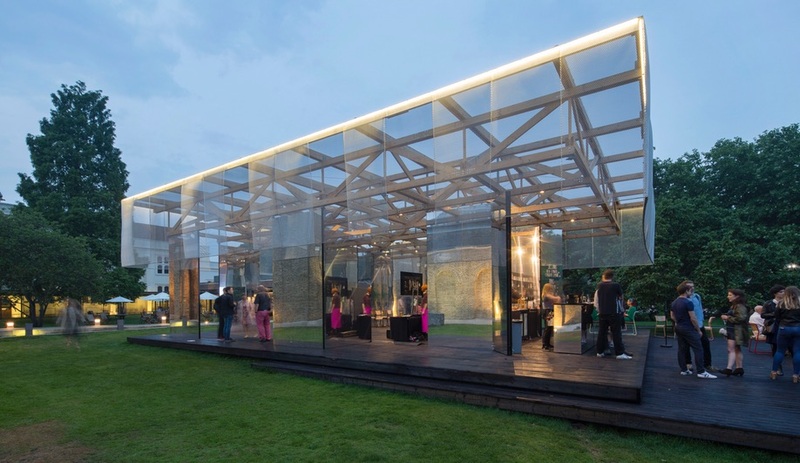 Pavilion Martell remains on view in Cognac until June 2018, after which the intention is for the structure to be reassembled in other locations. 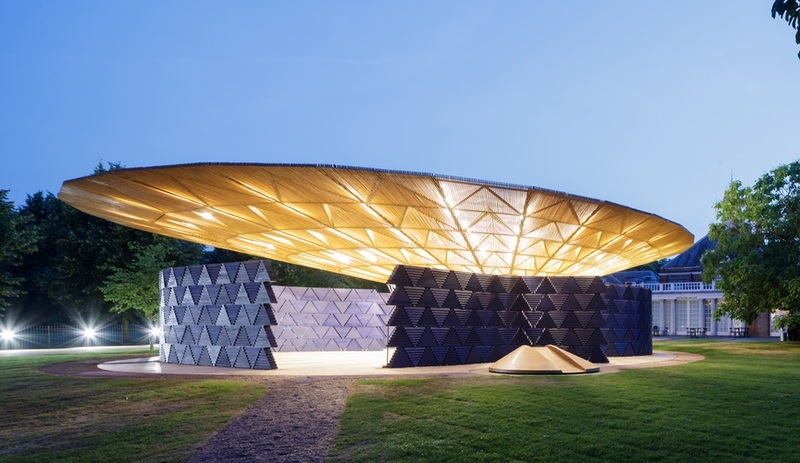 The design world’s best-known pop-up is installed every summer in Kensington Gardens, outside the Serpentine Galleries. The temporary structures are designed by a new architect each year, and for 2017, Burkinabè architect Diébédo Francis Kéré has done the honours. Kéré, who leads an eponymous Berlin-based practice, modelled his design after a tree that serves as a central meeting point in his home town of Gando, Burkina Faso. A central steel framework supports an overhanging roof that mimics the tree canopy, offering shade and shelter. 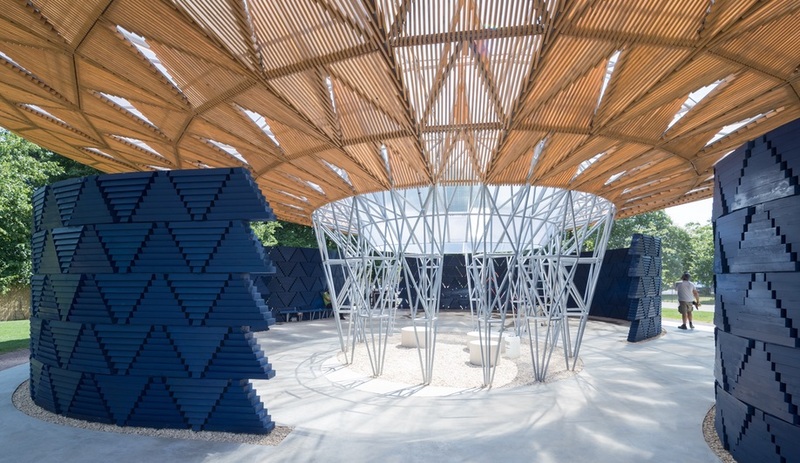 The Serpentine Pavilion is up until October 8. 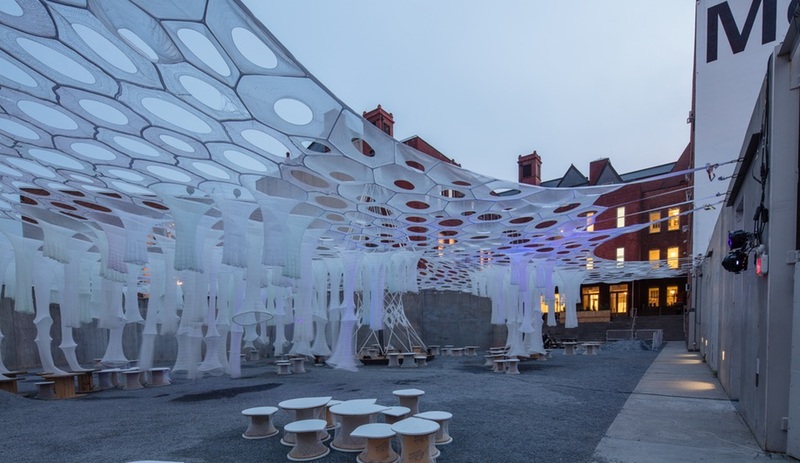 One of New York’s most successfully experimental design offices won the commission for the year’s Young Architects Program pavilion, installed annually in the courtyard of the MoMA PS1 gallery. 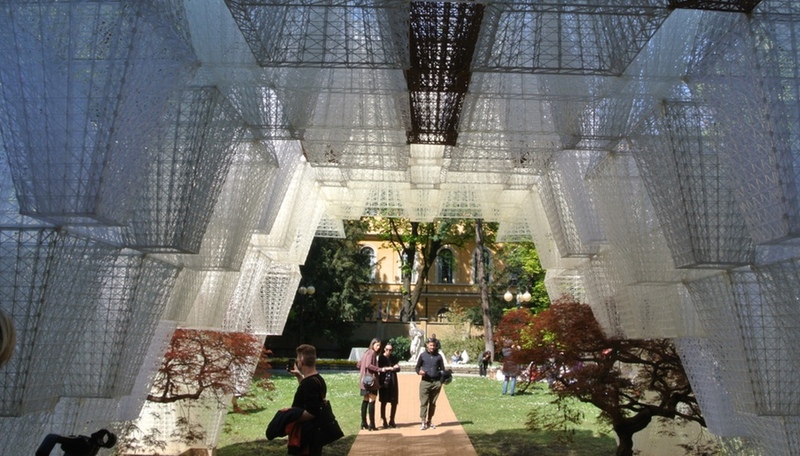 Jenny Sabin Studio used recycled photo-luminescent textiles to create a perforated canopy suspended with dangling tubes. Knitted together robotically, the structure appears as a slightly tinted white during the day, while glowing in more pronounced hues of blue, pink and purple at night. Lumen is on show until September 4. Part of the June London Festival of Architecture, each summer a designer for the Dulwich Picture Gallery is chosen via a competition. 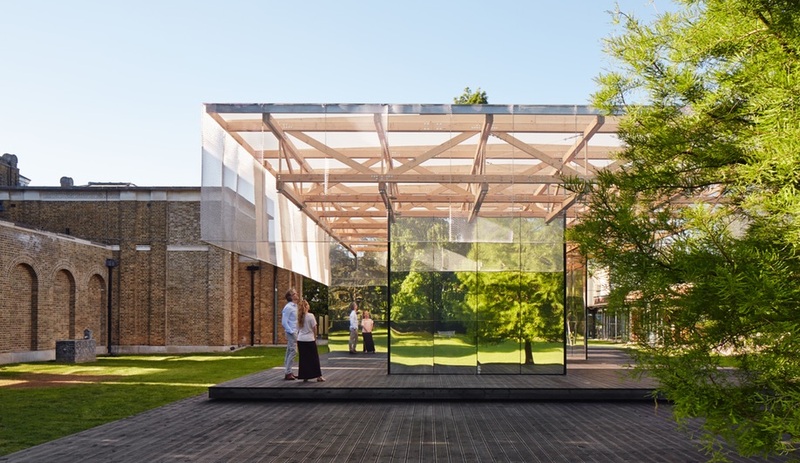 This year emerging practice IF_DO came out on top with an airy steel mesh canopy that tops a series of mirrored columns that reflect the historic Dulwich Picture Gallery building, and the lush grounds beyond. See it until October 8. When October rolls around, most of these summer follies are packed away, but Australia’s summer will be just around the corner. 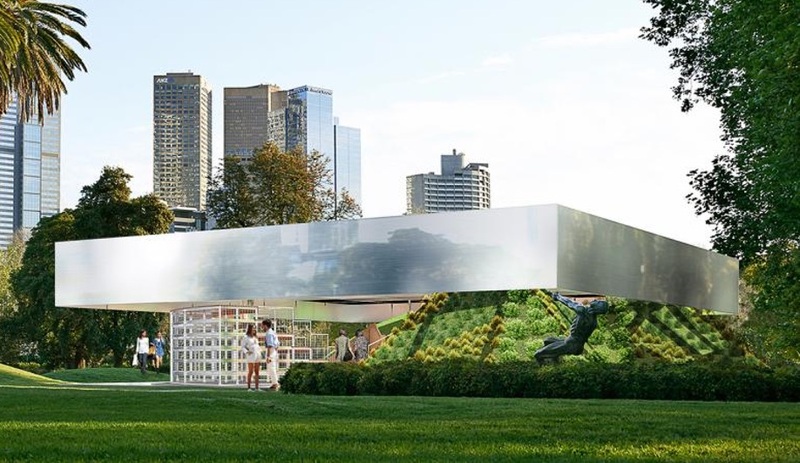 October will see the opening of the MPAvilion, designed for 2017 by OMA. 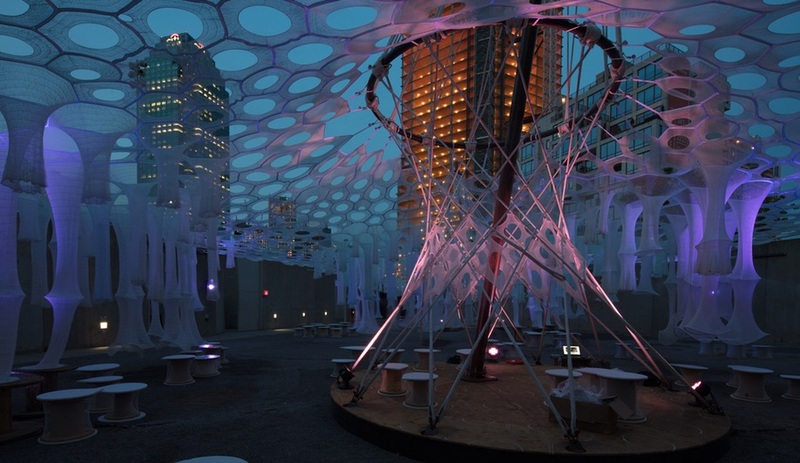 The pavilion takes the form of a reconfigurable amphitheatre, topped with a translucent floating roof and, unlike most of these temporary interventions, will feature built-in lighting and other technological features to help activate the space. It opens October 3.